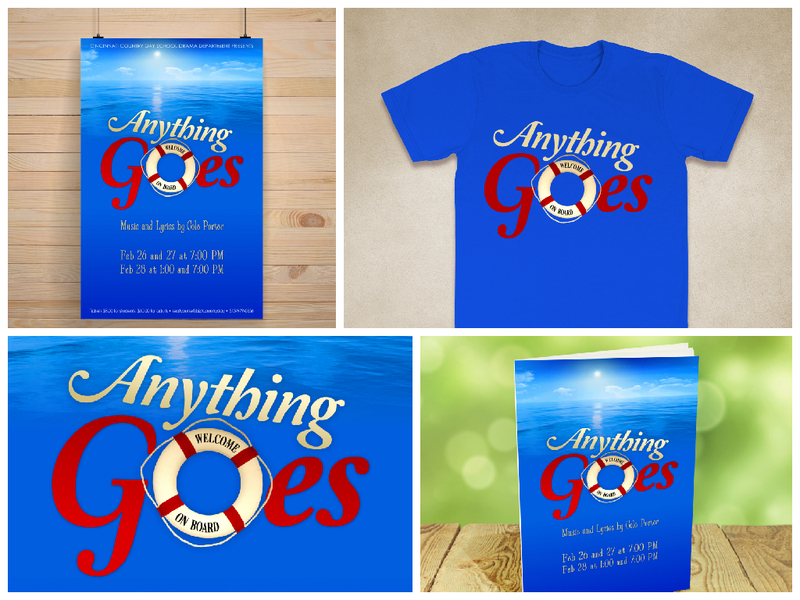 Artwork that I designed for a local high school, Cincinnati Country Day’s, production of the Broadway musical Anything Goes. The director requested that the design feature a lifesaver and wanted to steer clear of the other more commonly used imagery for most productions of the show. 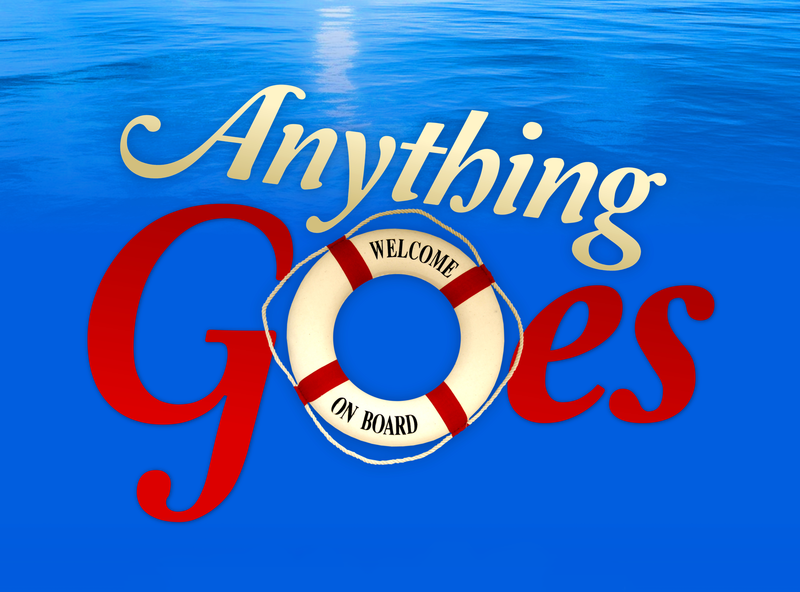 Anything Goes is a musical about an ocean liner traveling from New York to London and the mischief that happens on board along the way. 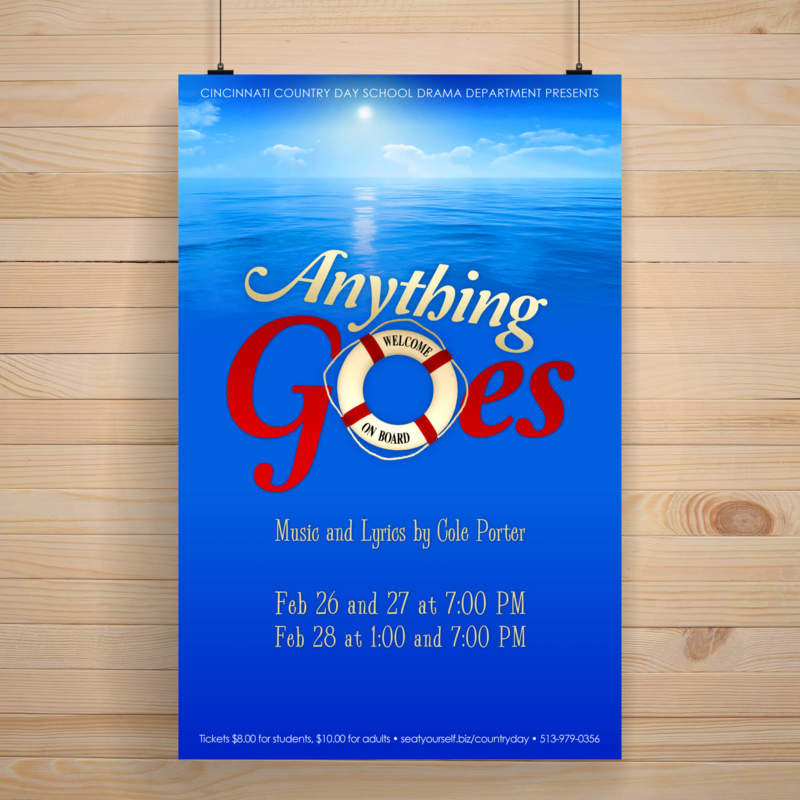 Art for this show generally features a ship or a woman in beach attire, and it’s usually reminiscent of the posters from the 1930’s, when the show debuted. I decided to go with a layout that was a little more modern, with typography that had a nod to the era. The original concept showed a lifesaver beneath the water, but it read a little too much like art for the Titanic, and felt too solemn. The final version shows the surface of the water and is much more lighthearted. 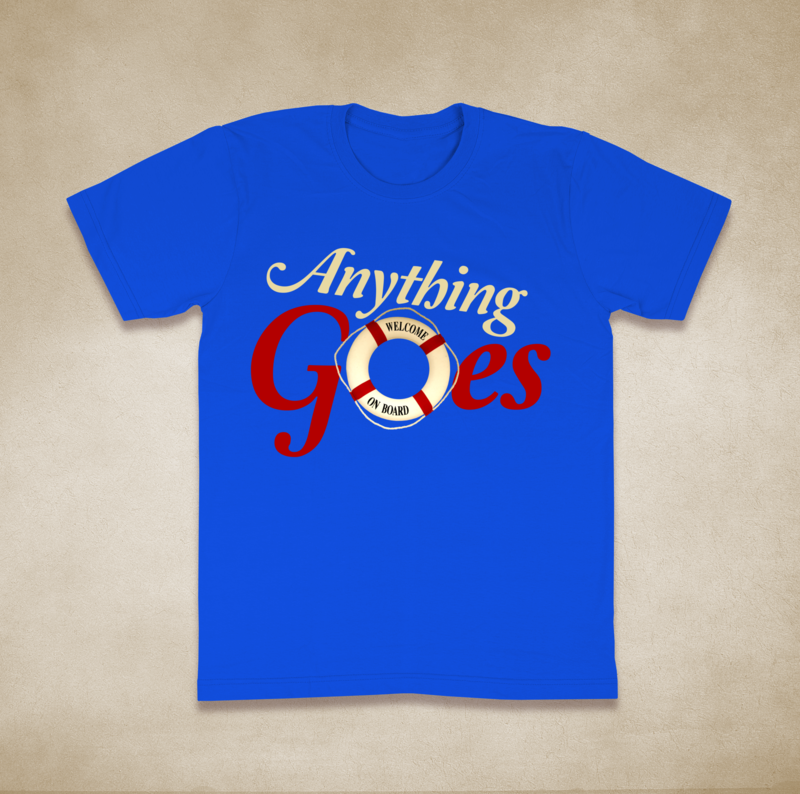 This is a t-shirt I designed for the cast and crew. 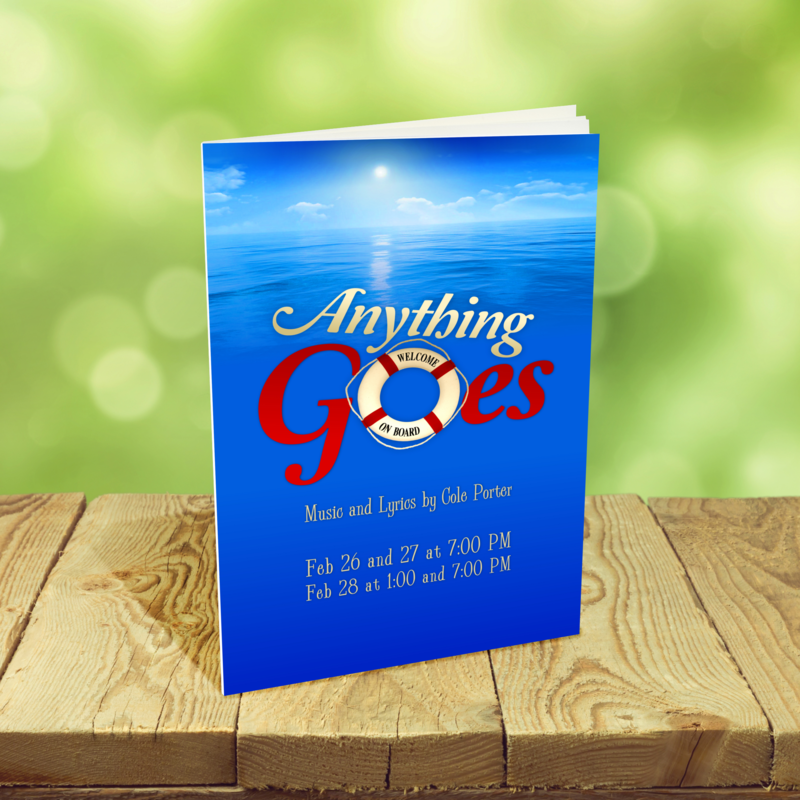 This is a playbill for the show featuring a slightly simplified version of the design.